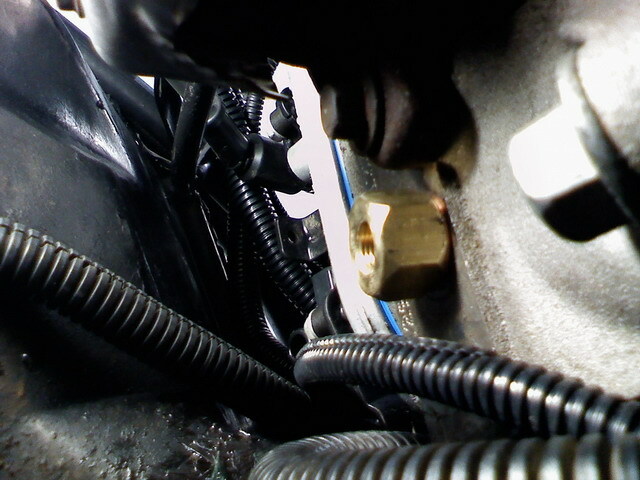 I am using the stock brass/copper 3 row radiator that was in the Malibu. It was practically new, so I didn't see a need to replace it. 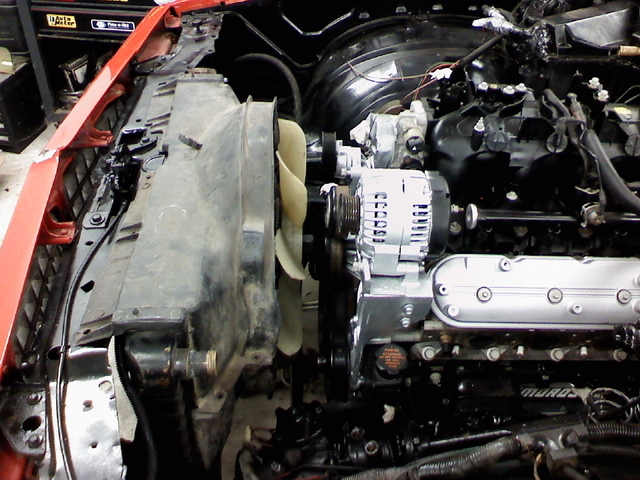 There are other routes you can take, including a 82-92 F-body aluminum/plastic radiator. 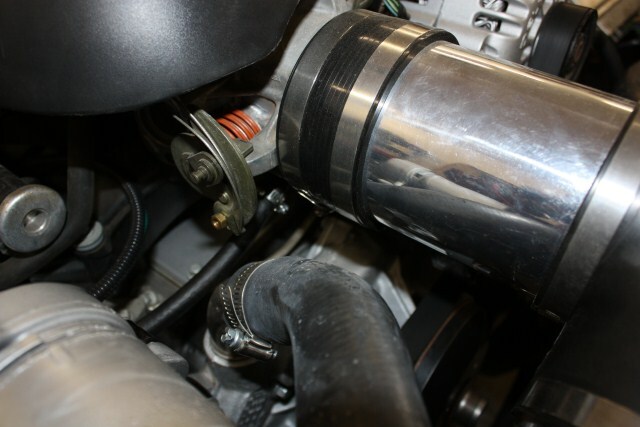 The stock radiator has the transmission cooler line provisions and had a fitting provision for the throttle body coolant bypass line (more about this below). There are several options when it comes to cooling fans. 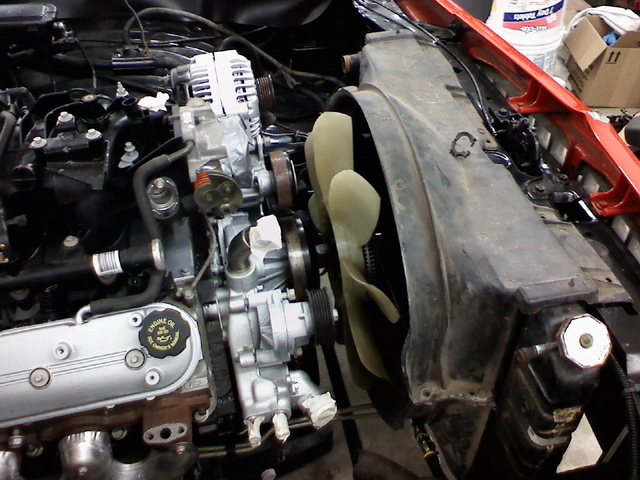 I decided to use a mid-90's Ford Taurus 2 speed electric fan setup. They are relatively easy to find and reasonably priced. They can move massive amounts of air on the high speed setting. It fits pretty well. It completely covers the core from top to bottom but leaves a couple inches exposed on each side. 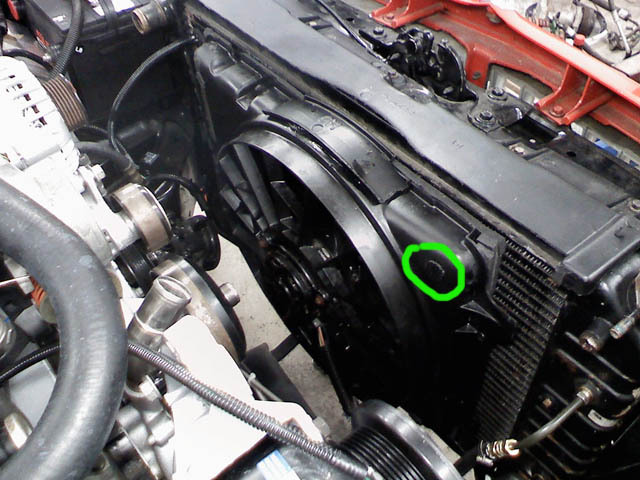 I used a cut-off wheel and modified my factory plastic fan shroud top plate to hold the radiator in place while test fitting everything (I later got a steel upper radiator plate from a 1985 Oldsmobile Cutlass). 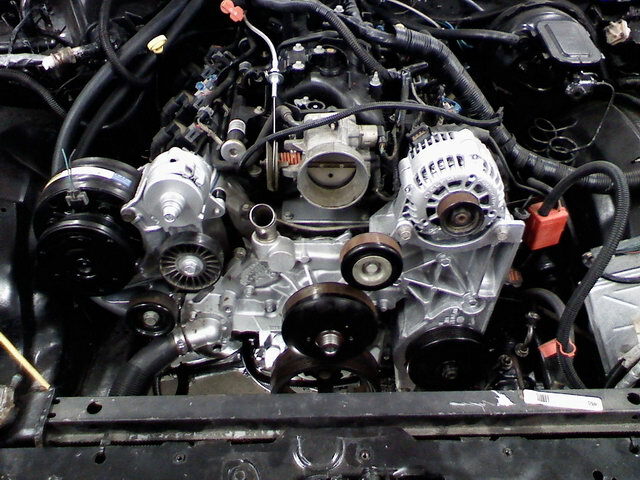 Notice the transmission cooler lines. 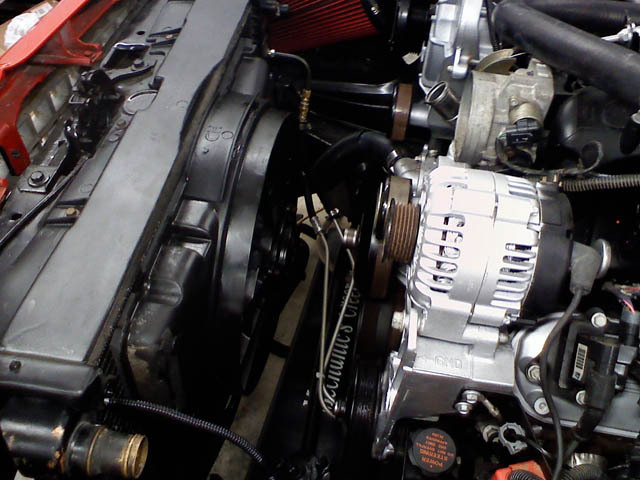 I was able to use the stock Tahoe transmission cooler lines with some bending and tweaking. You will need to change the ends to mate with the radiator. After driving the Malibu for a few thousand miles, I can say that this setup works great. 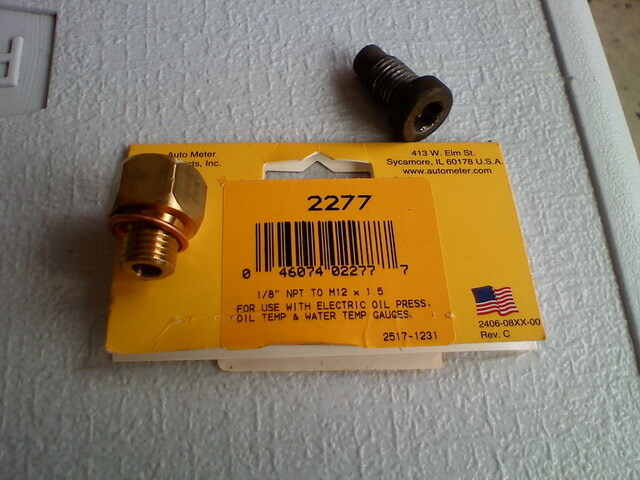 It keeps the engine temp below or at 195 during hot Alabama days (100+ outside temps) while running the A/C. The low speed fan setting is working fine. 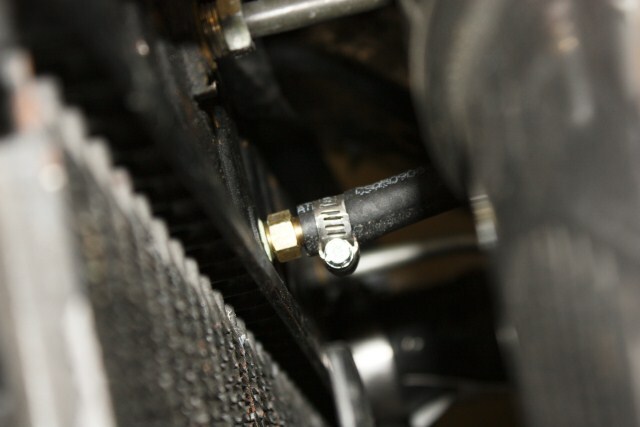 The adapter installs in the back (near firewall) of the passenger side cylinder head. This shot is from under the car. Adapter installed. 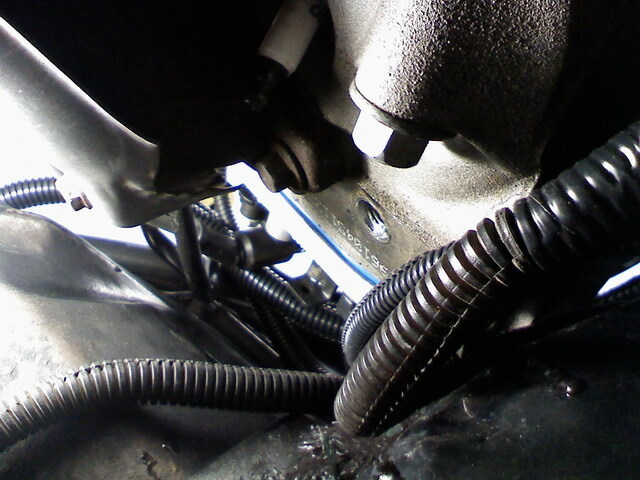 I then had to add a small extension since the sending unit would not fit in the hole of the adapter (not in picture). 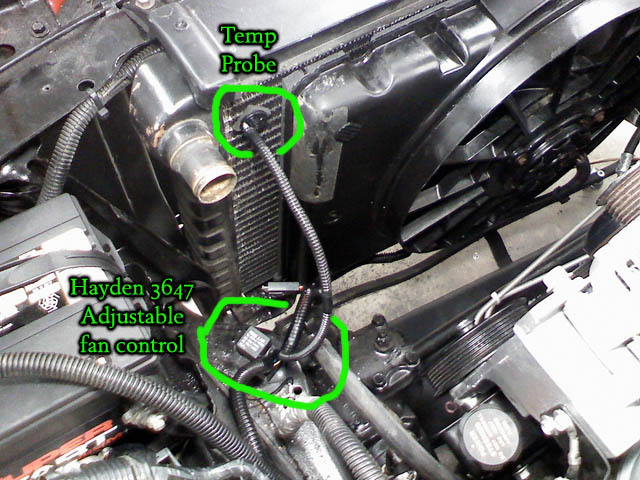 Connect lower radiator hose between radiator and engine. 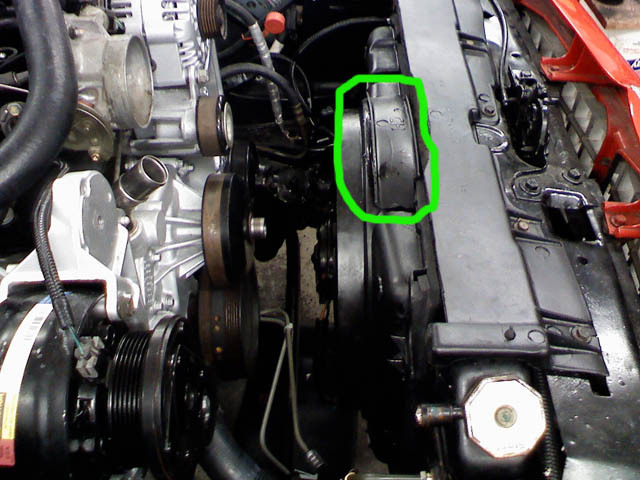 Connect the upper radiator hose only to the engine. 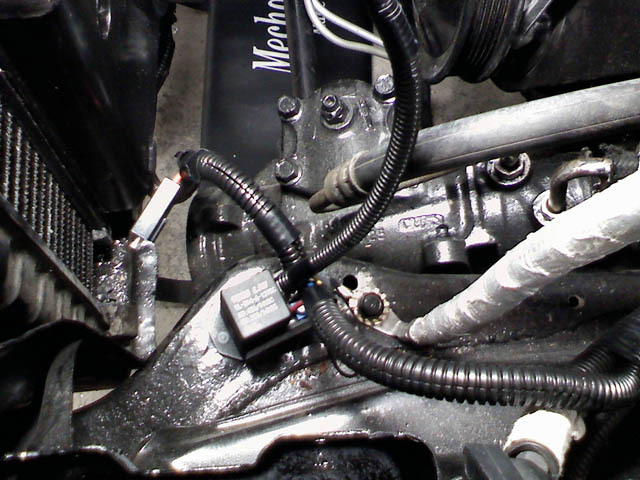 Hold the hose up while filling the engine block with coolant through the upper radiator hose. 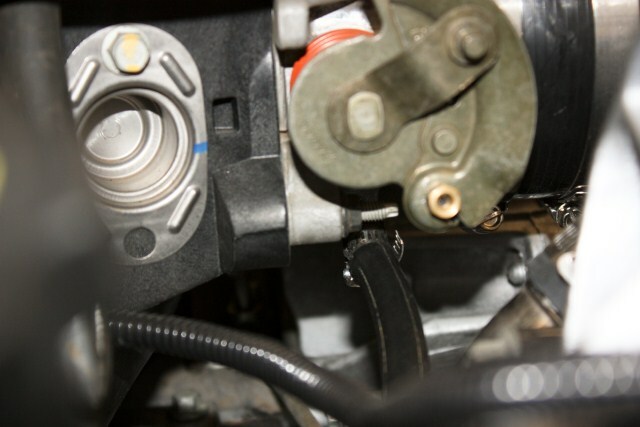 When coolant starts flowing out of the throttle body fitting, seal everything up. Now fill the radiator. 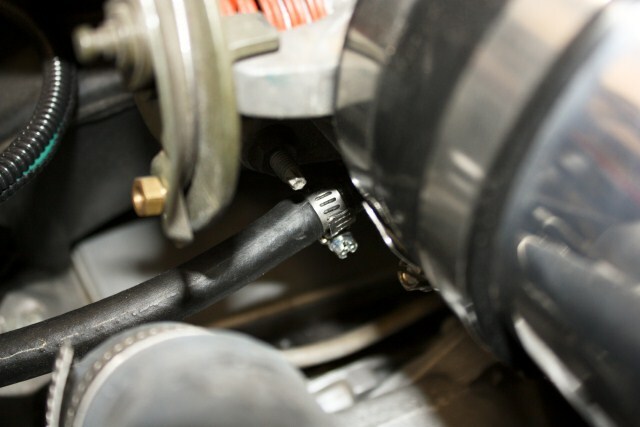 Crank the engine, let it get up to normal temp to ensure you have coolant flow after the thermostat opens. 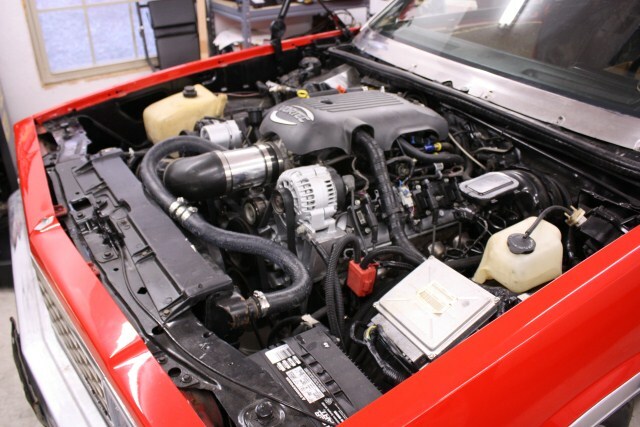 After you see coolant flow, install the radiator cap and top off the coolant overflow.